Love Star Wars, C2E2, BTS, or Beer? Ray’s is the Chicago Bed and Breakfast for you! Hey B&B fans, Katrina here. The temperatures in Chicago are rising, the snow has disappeared (for now) and things are looking bright for a great Bucktown spring. With this spring comes a slew of absolutely poppin’ events to help shake off the winter blues. As always, Ray’s Bucktown Bnb is here to help you experience a great, unique Chicago experience. For you nerds out there, and I say that as a term of endearment, C2E2, the largest comic-con in the Midwest, is right around the corner on March 22nd-24that McCormick Place. Or for a sneak peek at the new Star Wars film, the highly anticipated Star Wars Celebration starts April 11th, also at McCormick Place. Are you an amateur gardener, floral enthusiast or in need of more greenery post St. Paddy’s day? 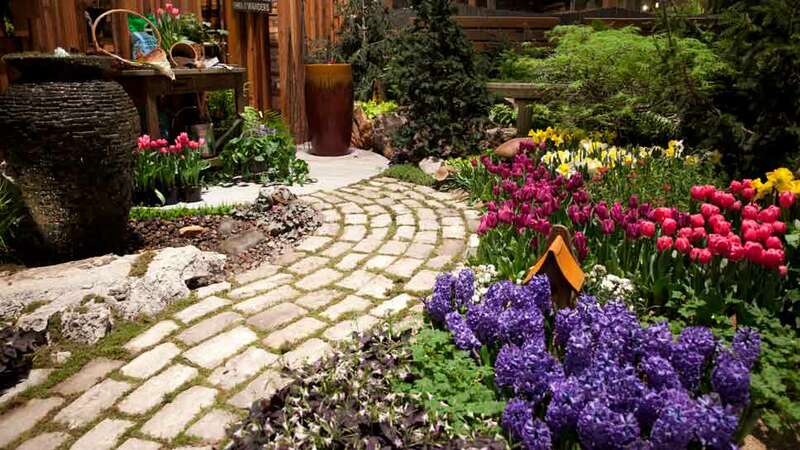 The Chicago Flower and Garden Show starts March 20th. There are amateur gardener classes, workshops, and an ocean of floral and garden displays. Sounds like a bouquet of fun! Prefer to have some beers and cheers? The Chicago Beer Classic, featuring hundreds of beer vendors, games, and entertainment, starts May 4th on Soldier Field. That leaves you plenty of time to buy tickets and then book at Ray’s for a lovely hungover breakfast on May 5th. Musically inclined? Into KPop? American Pop? BTS, the mega-popular, super-cute Korean boy band, has a leg of their North American tour at Soldier Field on Saturday May 11th and Sunday May 12th. Ariana Grande, the pop princess of the Billboard charts, also has a concert on April 7that the United Center. Tickets are selling fast, and so will our rooms! If you’re looking to stick around and explore the neighborhood, our friends over at the Corner Bar, a stone’s throw from Ray’s, has drink specials every night, trivia Tuesdays, Bingo, and is a great spot to watch a Cubs game. If you’re looking to party without spending money on an uber, this is the spot. As always, we at Ray’s Bucktown Bed and Breakfast are ready and waiting to help facilitate an end to winter cabin fever, so if you’re ready for winter to be completely over, check out these events and our website, Raysbucktownbandb.com.